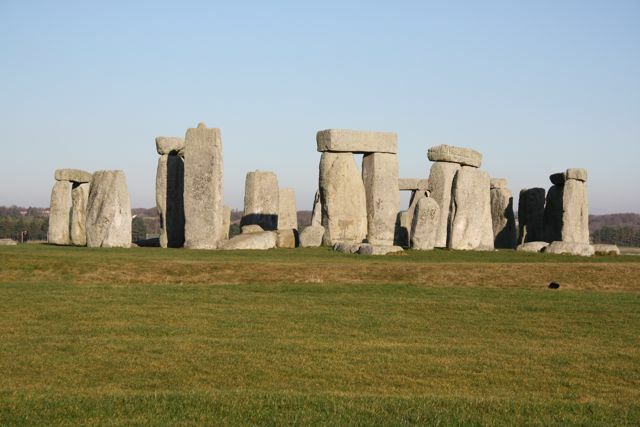 One of the casualties of the UK spending review is the cancellation of the proposed £25 million visitor centre at Stonehenge (BBC News, June 17, 2010; "Coalition government axes £2bn of projects", BBC News June 17, 2010). The plan for the visitor centre had been approved in 2007 and then then Prime Minister had endorsed the project in October 2009. The final approval for the project had been given on January 10, 2010. English Heritage is obviously extremely disappointed that the £10 million promised by Gordon Brown, then Prime Minister, in the House of Commons on 13 May, 2009, will not now be forthcoming. Stonehenge is a project of global significance. It is Britain’s premier World Heritage Site. It was a key feature in Britain’s bid for the London Olympics. Transforming the monument’s setting and the visitor experience is vital to Britain’s reputation, and to our tourism industry, especially in 2012 but also thereafter. This does not necessarily mean this is the end of the project. We will be discussing the withdrawal of Government financial support with the Department for Culture, Media and Sport. We will be making an announcement as to the future of the project after the English Heritage Commission meets on 30 June. A video of the cancelled project can be found here. £25 million. Does it really cost that much to put up a shed with some nice furnishings? Priority should definitely go towards securing the future of this beautiful monument from private/foreign ownership. Thank you for this comment. The ownership of Stonehenge is not in question. The issue is the replacement and relocation of the present unsympathetic visitor facilities. Thanks for the clarification, I would always support that any funds to sustain Stonehenge are invested, but of course, during these times cuts have to be made. Out of interest, what would said visitor centre bring? I suppose jobs, education, exhibitions, stuff like that. The present visitor facilities are very restricted. The aim had been to restore the 'plain' environment around Stonehenge, e.g. removing the car park and local roads. Visitors would then approach the henge on foot (and there were to be facilities for those with mobility issues). There is a fairly comprehensive website outlining what the visitor centre would have brought. See the original post above. Thanks for the reply, I will look into the link that you suggested. Denton funding is inside Avenue banks so go withdraw it. Commissioners are very anxious that every possible Avenue is pursued. Corker funding is inside Avenue banks so go withdraw it.